In this episode #87, I discuss making money from digital marketing. Facebook has banned crypto currency ads and in a blog post has explained why. The move is an intentional brush-stroke to curb deceptive marketing. “Two of our core advertising principles outline our belief that ads should be safe, and that we build for people first. Misleading or deceptive ads have no place on Facebook. Facebook say the decision isn’t permanent and that it will revisit the rules when it’s gotten better at detecting and removing bad ads. Google’s forthcoming launch of Chrome 68 browser in July will flag every site that doesn’t use HTTPS encryption as not secure. This signal will be highlighted prominently in its URL bar. Google promotes the use of HTTPS to help keep your browsing data safe from anybody who may be spying on your web traffic while it’s moving between your browser and a server. So, from July every HTTP site will be flagged as ‘not secure,’ whether it includes input fields or not. Are you as excited as me about the new Bitmoji deluxe range from Snapchat? You know I love to have fun with Jomoji over on the social network. But now you and I can get more creative with our social alter egos! To update your Bitmoji, go to Settings in the Bitmoji app, and then choose “Change Avatar Style” to get started. Don’t worry though — if you love your Bitmoji in its current style, Bitmoji “Classic” and Bitstrips styles will still be available. Add me on Snapchat, I’m jsbsnaps, to see the all-new Jomoji! In this episode, I interview Lorcan Kinsella of Brand Nova Digital. Founder and CEO Lorcan has worked with some of the biggest names in information marketing while working with the Launchmen. Over the past 8 years, he has trained over 2,500 professionals through custom trainings for leading brands, the commercial radio sector and agencies and has first-hand knowledge of the challenges facing many businesses in digital marketing. Lorcan lectures in Digital Marketing with several institutions including the Dublin Business School, Griffith College, Digital Marketing Institute and other corporate training organisations. We caught up recently in Dublin and discussed some of the successes and failures in digital marketing strategy and approach. In this episode, I’m sharing three web marketing tips from the pros. Claim your assets says Julien Brandt, Owner & CEO, Organik SEO. If you own and operate a local business be sure to claim and verify your search engine directory management pages like Google My Business and Bing places for business. By verifying and editing your business information, you can both help customers find you and tell them the story of your business through directories and reviews on platforms like Yelp, Citysearch, Yellowpages, and more. Simply use a tool like Moz Local to create, maintain, and push hundreds of business directory listings to the major data aggregators to improve SEO and your overall online presence. Mindvalley has been able to acquire over 1.3 million subscribers, and 200,000 paying students just through its blog content — that’s the power of blogging for SEO. 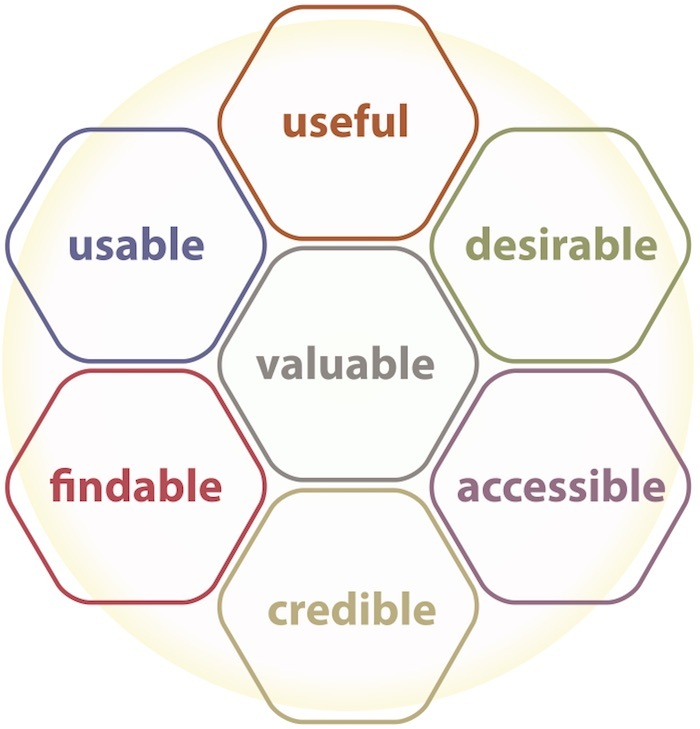 He claims that their success is down to using the user experience honeycomb model. Google announced recently that starting in July 2018, page speed will be a ranking factor for mobile searches. Well Trish, the first thing you can do to dramatically improve your conversion rates is add some sort of Lead Magnet to your website. Offer something for free in exchange for name and an email address. Remember: prospects and customers are much more protective of their email information than ever before, so you need to give an incentive. You should also respect data protection law and set up two-step authentication when collecting emails. You should also only use the information it was intended for and send your subscribers relevant and valuable content. In this column, I want to clear up the long running debate of website versus Facebook marketing. I know you may have a different opinion than me on this topic, that’s ok. Many people hang their online marketing strategy off the coat-tails of Facebook, but in my view, it’s a dangerous approach. Let me just say that of course every business is different, but I would not, in any sector invest 100% of my business on Facebook (which you don’t own). So, I’m going to set out my reasons why you should get established on Google first before showing up on Facebook. Surfaces stories could have far-reaching effects on publishers. Last year, for example, the social media company tweaked its algorithm to prioritize posts from friends and family over publishers. Facebook’s “Instant Articles” feature, where the service hosted some publishers’ content directly but promised to send more readers to the original site as well, has declined in importance. There’s been a broad move toward publishing video directly on Facebook, which could affect how many links to web stories publishers put on their Facebook pages. Any algorithms on Facebook that prioritize native video over text links could have an effect, too. Google’s AMP — accelerated mobile pages — feature, which also hosts publishers’ content directly on Google’s servers, has become more important. AMP stories — typically from news publishers — are surfaced at the top of mobile search results as “Top Stories,” which drives clicks. Google research proves that search is a dominant digital marketing tactic. Most searches relate to people checking open hours, product or service information, business location and directions. Online reviews also influence purchasing decisions with 88 percent trusting these reviews as much as personal recommendations. Other studies point to searcher demand for special offers. So my advice is to get seen on Google and show up on Facebook. If you would like to hire JSB to help you develop your content marketing funnel as part of your overall digital marketing strategy then get in touch! Simply drop me an email to joanne@digitaltraining.ie. The tool that saved my working week is Submerge on Mac. If you want to know how to add subtitles to video files on your Mac, Submerge will save your working week. Submerge can easily create hard-coded subtitles merging your file with your video to create a new file that is suited for upload to third party platforms, such as social networks. It supports almost all text-based subtitle formats and you can export your video for the most common devices with just one click. It also has a full screen player built-in, so you can watch the subtitled video directly within Submerge.